This family-friendly Colunga hotel is located by the sea, within 2 mi (3 km) of Lastres Beach, Bay of Biscay, and Port of Tazones. Jurassic Museum of Asturias is 2.2 mi (3.6 km) away. Located in Gijon City Centre, this hotel is within a 5-minute walk of San Lorenzo Beach, Campo Valdes Roman Baths, and Plaza Mayor. San Pedro Church and Barjola Museum are also within 5 minutes. Gijón Station is 18 minutes by foot. Located in Gijon, this beachfront hotel is in the city center and within a 10-minute walk of Isabel la Católica Park, Plaza de Toros de El Bibio, and Busto de Evaristo San Miguel. San Lorenzo Beach and Puerto Deportivo are also within 1 mi (2 km). Gijón Station is 30 minutes by foot. 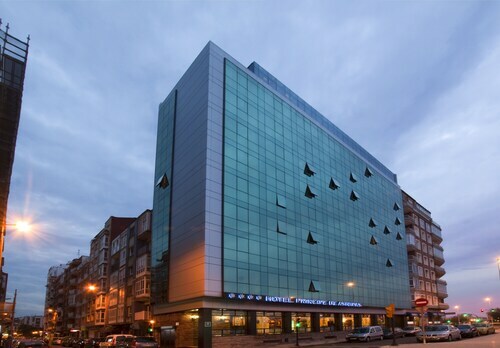 Located in Distrito Sur, this hotel is within a 15-minute walk of Gijon Railway Museum, Aquarium of Gijon, and Playa de Poniente. Estatua de Jovellanos and Talasoponiente are also within 1 mi (2 km). Gijón Station is only a 2-minute walk. How Much is a Hotel Room in Luces? Hotels in Luces start at $56 per night. Prices and availability subject to change. Additional terms may apply. Arranging several nights in Gijon - Asturias Coast? 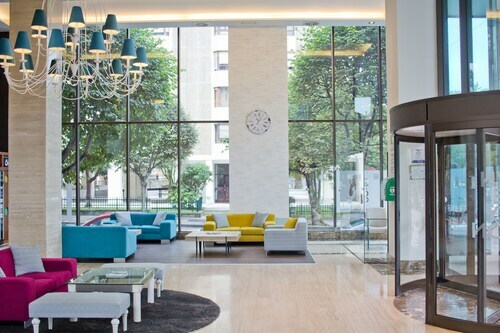 Through Travelocity's booking page, you can select from a limited range of options in Luces. Luces is home to 5 excellent accommodation options within 6 miles (10 kilometers). Despite the fact that Luces can't lay claim to hosting an extensive list of lodgings within a short walk of its urban core, Palacio de Luces is handy enough to work for most visitors. The Palacio de Luces is situated 0.3 miles (0.5 kilometers) from central Luces. 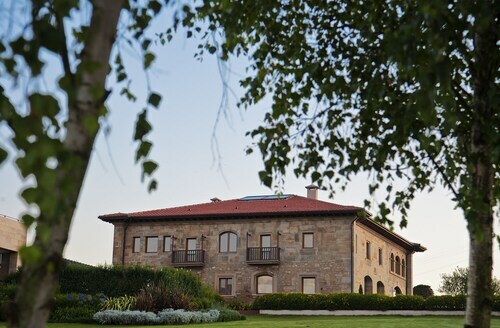 If you would prefer another option, the Parador De Cangas De Onis can be found 13 miles (20 kilometers) away. Other options around this area include the BAL Hotel Spa as well as the Hotel La Cepada. After seeing Luces, you could venture out to visit the many activities of the Asturias area. Investigate Asturias's castles and churches and fall in love with the area's beaches. In this fascinating part of Spain visitors may also enjoy snowboarding and skiing. Gijon is 19 miles (31 kilometers) to the west of Luces and features Plaza Mayor and San Lorenzo Beach. The Abba Playa Gijon 4s and Hotel Don Manuel are just some of the comfortable long and short-stay options in Gijon. Alternatively, you could stay in Luanco, 25 miles (41 kilometers) west of Luces, where you can choose from the Piedra and El Carmen. When you visit Luanco, set aside a little time to visit the Maritime Museum of Asturias and Church of Santa Maria. Simply because you are taking a break from your usual habits, shouldn't mean that you can't feed your obsession for stadium sports. You can find El Molinon 17 miles (28 kilometers) to the west of Luces. Travelocity customers that like the convenience of locating a room in the neighborhood, reserve a room in the Alcif or Hotel Hernán Cortés. Asturias Airport is a primary entry point for those flying into Luces. It is located 35 miles (60 kilometers) from the heart of the city. For travelers who would find it convenient to stay nearby, book a room at Palacio de La Magdalena Hotel or Hotel Marqués de la Moral. I’m sad to share a negative experience with my lodging at Tryp Gijón Pelayo, the air conditioning system very poor in their rooms. The electricity was out for a period of time. I would not recommend to visit during the summer.